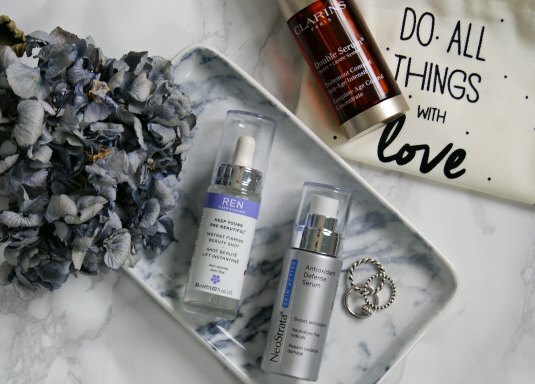 As you may know, 2015 was my year to start using serums and I feel like they have really improved the smoothness of my skin, my pores and created a clearer complexion. So I thought I would share my three favourites with you lovely lot. This is from a brand that is not widely know but works on protecting the skins defense system to defend against ageing and as I am getting on in my 20s this is becoming a top priority in my book. 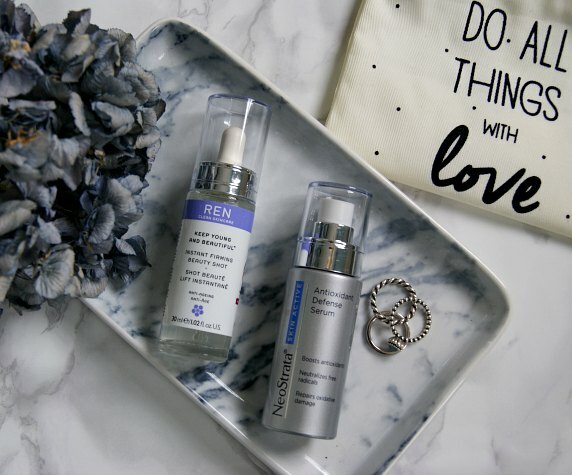 This serum has 8 antioxidants and is clinically proven in strengthening the skin barrier, providing protection against everyday elements our skin in put through. This gel serum has a fab name name, called a 'Beauty Shot'. The magic liquid can be used whenever under makeup or over, it does not matter proving it to be a great handbag essential to ensure your skin in always looking its best - firm, plump and smooth. This is achieved with a mix of Hyaluronans that supercharge the skin for a more youthful appearance. This is a great treat for jet lag or hungover skin! This baby has already featured on the blog on my Summer Skincare Routine but it has proved it's award winning nature with me and the rest of the world. The Double Serum is an intensive anti-ageing treatment which has 20 plant extracts and a two-phase system that targets every sign of ageing. This includes firmness, wrinkles, tighter skin and pores and it creates a beautiful glow.